When it comes time to think about what you want to plant in your garden containers this season do you ever stop and think about the fragrance you want to plant? Usually it's the colors, types and durability of the flowers or plants but not so much the smell of the flowers. Well we want you to re-consider. If you are going to the time and expense to buy and pot up a lovely garden planter we want you to think about using plants that look lovely and SMELL heavenly. There is nothing nicer on a hot summer night to sit outside on the porch or patio after the sun has gone down and look at and enjoy the planters that surround you. Each tiny element adds so much to your comfort and pleasure. So, here is a list of some of the best smelling plants that are easy to pot, truly lovely to look at and availability to find at most garden centers. Gardenias - If you haven't smelled on of these bushes then you are really missing out. The fragrance it gives off is truly heavenly. 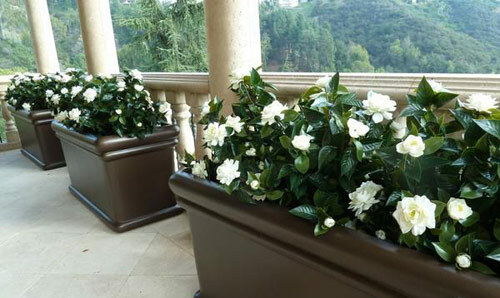 Even though gardenias need a bit of TLC they are easy to pot up and place around your home where they can be enjoyed. 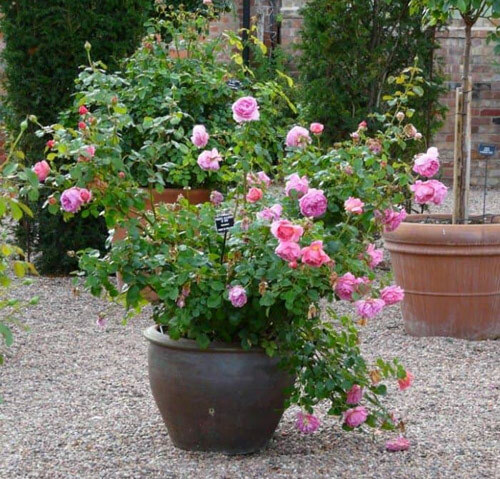 Make sure to pot in a large enough container with good drainage and moist acidic soil. Known for their stark white delicate flowers they are not only beautiful but undeniably have a strong fragrance. 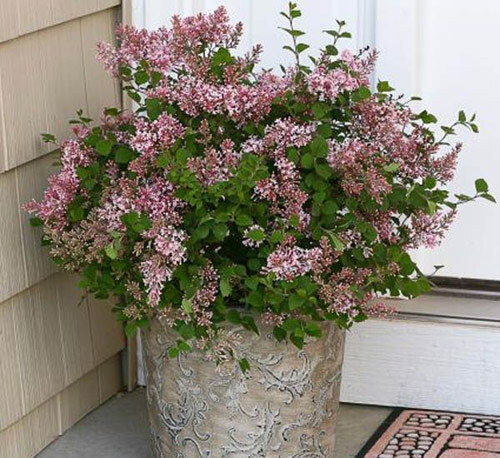 Lilac - Another bush that can easily be potted and placed around the patio or porch. While pretty easy to care for these potted bushes will need room for their roots to spread so don't skimp on a small container. 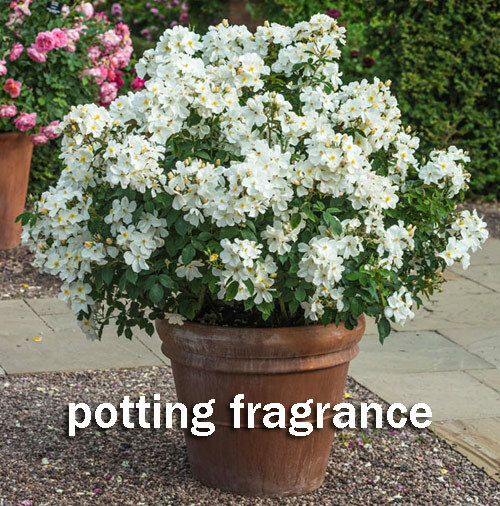 You don't need a large bush to get their lovely scent so try starting a bit small. They really like full sun and moist well draining soil. Their color is beyond wonderful. Check it out! Lavender. Who doesn't love lavender? 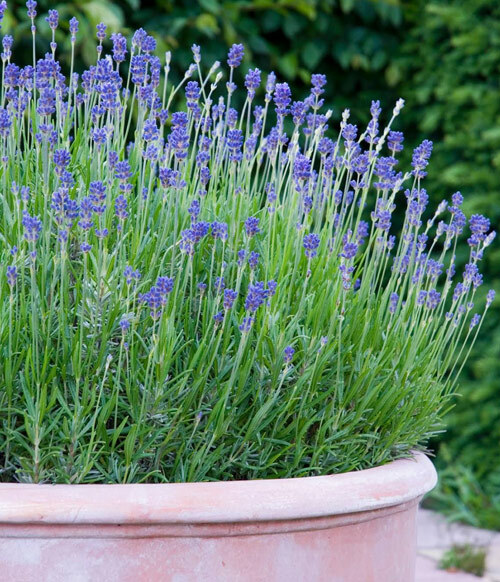 A garden planter over flowing with lavender is really breathtaking. The scent of lavender has been around for centuries and loved by many. Their little purple flowers and spiky stems make any garden container looks vibrant and romantic along with that distinctive scent. Don't over water these and keep the pots in full sun with good air circulation and you will have a welcome addition to your porch or patio display. Lastly the one that everyone know. Roses! Who doesn't love the scent of roses. They are symbols of love and come in so many colors and varieties that you could pot up 10 containers and still not try them all. They do need a bit of work when it comes to pruning and watering but basically they like full sun and moist soil. If possible place the flower pot in a location where you can not only see the potted flowers but smell their sensual fragrance whenever possible.